Public participation holds considerable promise and benefit for sustainable development in the county. Sub county and ward administrators are responsible for coordination, management and supervision of general administrative functions including public participation at the Sub county and Ward level. These administrators are therefore crucial stakeholders in the implementation of public participation in the development of policies, plans and delivery of services across all the county departments. The County department of Administration today conducted capacity building on public participation by AHADI Kenya for the Sub county and Ward administrators. The Chief Officer for Administration, Ms. Scolastica Tuwei denoted that the training focusses on strengthening public participation process especially by proper planning and mapping of stakeholders and resources. 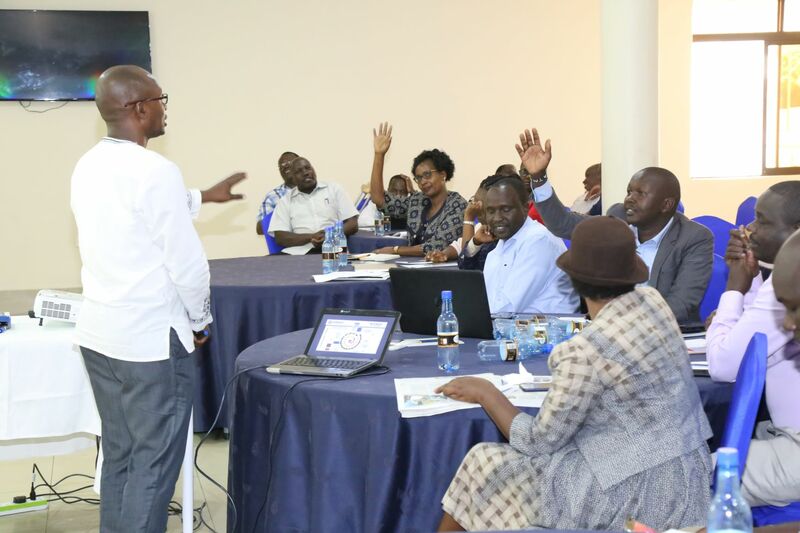 The Deputy Governor, Dr. Yulita Cheruiyot Mitei, who adjourned the training session pointed out that citizen involvement in policies and development activities is bigger responsibility for the county government. She will therefore ensure it is effectively implemented with the help of Sub county and Ward administrators. Dr. Yulita further encouraged the administrators to keenly follow up and regularly give reports on the status of projects in their wards. Also present in the session were, the County Secretary, Dr. Francis Sang; Deputy County secretary, Truphena Kobiro, director in charge of Administration Ali Apidi and County Attorney, George Tarus.